When you want to keep your turf and landscape looking green all through the summer season, having the right irrigation system will be a vital part of your efforts. Whatever the issue with your irrigation system, we can diagnose the problem and get the repair completed, fast. Having a functioning irrigation system can be the key to keeping your picky plants happy all year long without overwater or wasting unnecessary resources. When choosing the right irrigation system for your lawn or garden, you will want to consider your system’s efficiency. Keep reading for info on some of the most popular types of irrigation systems and their ideal uses. Sprinklers come in several different forms. Spray heads come in all shapes and sizes and can be a versatile option for people looking for a system to cover a full circle of an area. Small areas (such as a patch of turf, shrubs or flowers) are the best for traditional spray sprinklers. Although versatile, they use more water than other types of irrigation systems and can put you at risk of overwatering without proper care. This water-efficient option is particularly popular as an alternative to traditional sprinklers. They release water more slowly than sprinklers and allow more water to soak into the ground, reducing waste. Drip irrigation systems are simple to move and can use a fraction of the water of a sprinkler system. Rotor irrigation systems are great at covering areas of land more efficiently and uniformly than sprinklers; however, they are still generally considered less efficient than drip irrigation systems. Rotor systems can cover large areas well but may still leave plenty of excess water open to evaporation. This option is ideal for water large gardens with deeply rooted plants, as they can be buried along the watering lines of a garden, close to the roots. This option is easy to install for an inexperienced gardener and allows for lots of flexibility of timing and water usage. Need help Repairing a Sprinkler or Irrigation System in Columbia, MO? We’re here to help! We have more than 15 years of experience repairing irrigation systems. No matter the type of irrigation system you’ve installed, our team at Grizzly Bear Lawn Care is here to repair any issues you have so you can get back to watering. 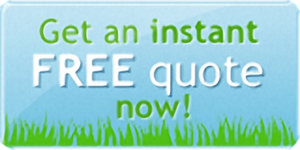 Contact us with your irrigation system questions or request a free quote on irrigation repair today!